Alpha-CAT CBD oil 10% ! 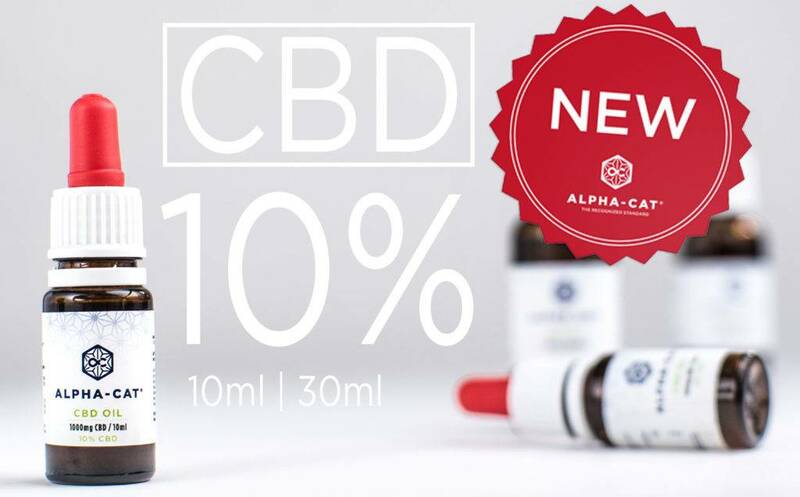 Alpha-CAT extend its product range by offering you some new CBD oils concentrated at 10%. We want to make sure everyone has access to high-quality CBD whatever their needs. These oils are produced with always the same high and strict standards. Pesticide-free premium oils grown in Europe. As usual, each extraction includes the full spectrum of the plant to make you enjoy the synergy of all its elements. You now have all the options to accompany your diet with high quality CBD ! Quel est le bon produit et à quelle dose pour un enfant de 12 ans, 52 kg,atteint du syndrome de Gilles de la tourette. Merci de me répondre. Great cbd oil. I recommend it.